Instagram has been silently taking over the social scene the past few years. With the growing number of active users, and inherent beauty of the platform, more and more businesses are starting to take advantage. However, Instagram for small business retailers can still be somewhat of a confusing marketing space. Is it worth it to use Instagram for your small retail business? How do you know if you should? In this article, we’ll look at how to determine if you should use Instagram for your small business and what benefits it can bring you. Instagram, like Facebook, Twitter, SnapChat, and Pinterest, is a popular social media app. But unlike other social media platforms, Instagram’s sole focus is on images and short 1 minute video clips that users can upload, share, and hashtag. User’s can follow certain pages where they’ll be able to see every new post and update that page makes in their own Instagram newsfeed. Instagram is wildly popular, especially with younger generations and this hasn’t gone unnoticed. Retail based businesses large and small have taken to Instagram to post quality pictures of their latest products, connect and increase interactions with their followers, and increase their brand awareness reach even further. On Instagram, you can have two kinds of accounts, a regular user account or an Instagram Business account. The main difference between the two accounts is with a Business level Instagram account, you can buy and manage ads, and you have access to some analytics information like user engagement. If you plan on selling your products on Instagram, then you should definitely opt for a Business Instagram page. However, if you’re looking for more of a casual social media presence, you can get away with a regular Instagram page. The biggest question you need to ask yourself if you’re debating whether or not you should create an Instagram page for your small business retail store is, “Are my customers and target audience on Instagram?”. I would argue that for the majority of small business retailers, the answer will be a loud, “Yes!”. But let’s dig into this a little deeper. Maybe you know that your primary customers are older generations who aren’t actively engaged with social media, especially on newer social media platforms. I’ll grant you that. But, don’t forget that while you need to continue to prioritize your existing customers, you also need to focus on attracting new leads and customers to. There’s no denying that the majority of younger generations are actively engaged with Instagram, that’s who you’re future customers are. Start familiarizing your future customers with your brand, your products, and your small business now, so thinking of you when they need whatever product you sell becomes second nature. Utilizing the marketing power of Instagram for small business can help drive more organic traffic to your website and various web pages. Think of Instagram as a marketing spring board of sorts. It can help you connect with prospects you may not have previously considered and allow you to more easily connect with them. Large Audience- As of June 2018, there were 1 billion active users on Instagram. That’s a lot of people that you have access to and can push your message out to. High Visibility– Every single one of your posts will appear in the newsfeeds of every single one of your followers. Personalize Your Story– Instagram allows you to develop a personalized persona for your small business from the hashtags you use to the account bio. You can also post stories that can give a more candid and personal feel to your business. Your stories will last for 24hrs and appear at the top of your followers newsfeeds, so they’ll be sure to see them. Reach New Audiences– Hashtags allow you to improve your visibility and connect with new users. For those unfamiliar, the pound sign (or hashtag) turns any word or group of words that directly follow it into a searchable link. Users can search hashtags and then like and comment on posts, and may even follow you as a result. Strategic hashtag research can significantly boost the exposure of your posts. Drive Traffic to Your Site– You can post a link to your site in your Instagram bio or in the section below a post. Mentioning your website, a specific web page, or using a call to action can act as an additional referral source and can potentially drive more organic and referral traffic to your site. It’s Free – The only investment is your time and energy. You should always be looking to expand, modernize, and update your small business retail marketing efforts. And right now, Instagram for your small retail business may be the best way for you to do that. What are you currently doing to increase your small retail business’s visibility online? 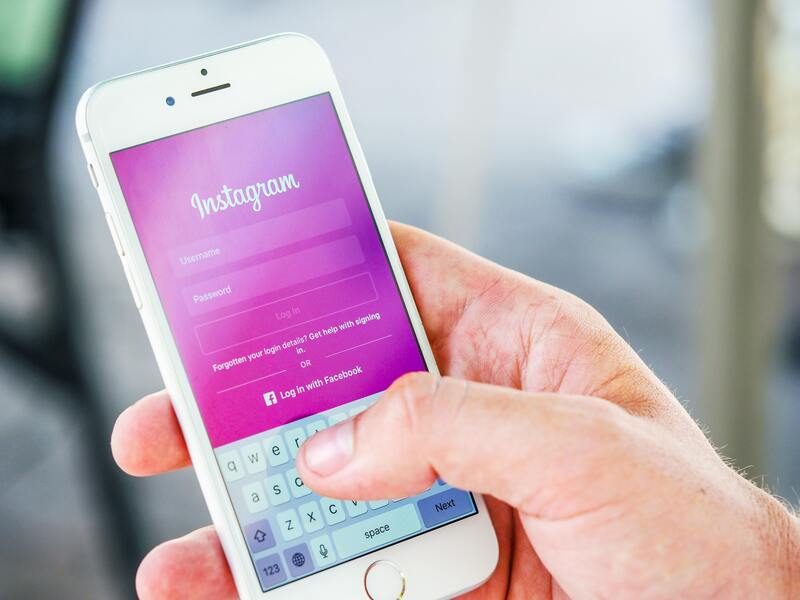 If you’re a specialty small business retailer, if you’re looking for new ways to boost your engagement rates, and you struggle with traditional content marketing, using Instagram for your small business may be an option you ‘ll want to look into. Take a minute to check out the platform and to see if Instagram would be a good investment for your brand!